In an earnings call yesterday, EA offered more information about a new Star Wars Battlefront for the holiday season later this year. As the series moves on, this leaves some fans of the current game unsure of what the future might be. 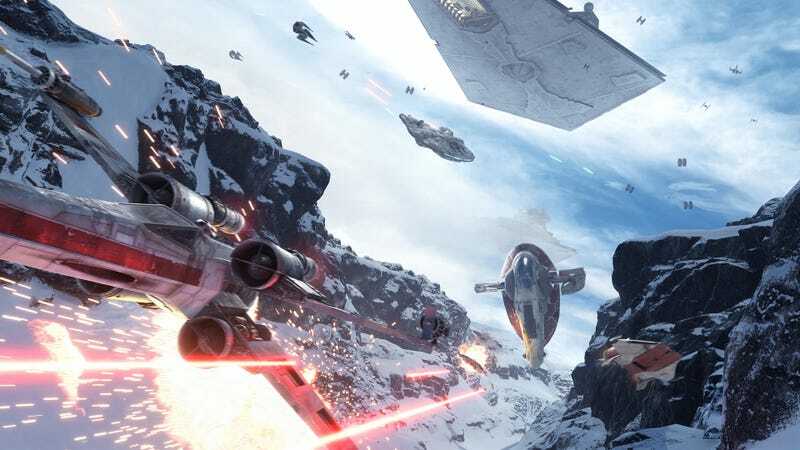 The next Battlefront title will let fans “play with more heroes and characters across multiple Star Wars eras.” The most recent Battlefront attracted criticism for staying to the events of the original trilogy. Still, it has a loyal following of fans who are concerned about dwindling support. A blog post on the official Battlefront site, offers a mixed message. It states a continued commitment to but stresses that focus has shifted to the new game. It also says that there are no more plans to expand the game’s Skirmish mode, which allows players to battle AI opponents offline. Fans expressed apprehensions about the game’s continued support in an official forums post dramatically titled ‘So is this now officially the end of this Star Wars: Battlefront (2015)?’ It prompted a response from community manager Mat Everett. It’s unclear what additions might be on the way but reduced support for offline game modes doesn’t bode well if current players leave en masse to play the sequel. Everett told forum goers that the team is listening to content requests from the playerbase. These could bring some much needed life to the game if they are actually substantial. Maybe if we make enough noise, we can finally get Hero Blast?